Maps for Minecraft PE (Map Installer) App Data & Review - Entertainment - Apps Rankings! Maps for Minecraft PE (Map .. The best collection of Minecraft PE Maps! • Install maps in one tap. 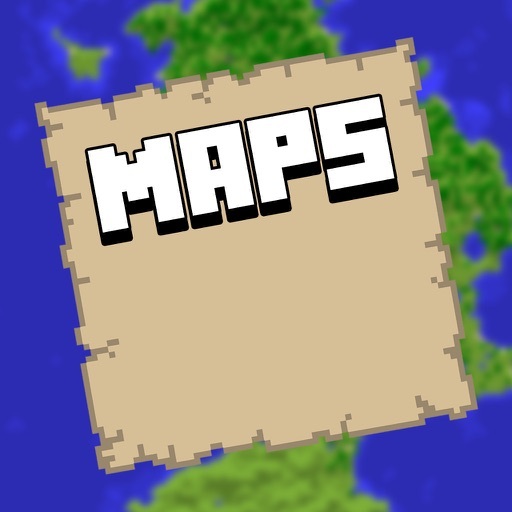 • Best maps available, including Stampy's Lovely World, Mine York City, and more. • Updated frequently with brand new maps! 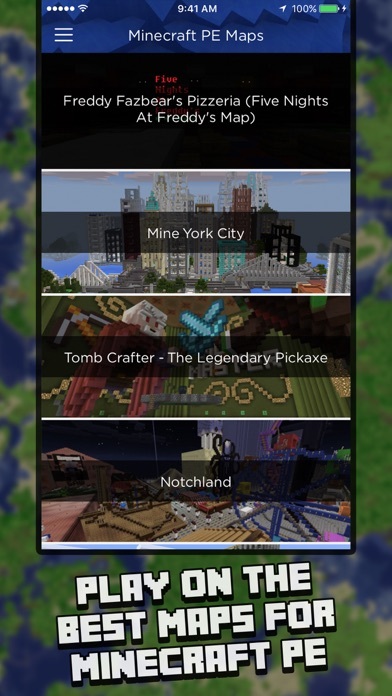 Map categories include City Maps, YouTuber Maps, Mini Games, Mansion Maps, Parkour Maps, and many more! All maps available have been fully tested and work with Minecraft PE. This is an unofficial app for the game, Minecraft. This application is not affiliated in any way with Mojang AB. Please note that your maps are non-restorable. If you purchase a new device, you will need to re-purchase the maps. The all maps in-app purchase is restorable across devices. If your map is listed in the app and you would not it listed, please contact us through our support link. The applications Maps for Minecraft PE (Map Installer) was published in the category Entertainment on 2015-10-13 and was developed by Simplecto. The file size is 72.81 MB. The current version is 1.1 and works well on 8.0 and high ios versions. Our biggest update yet! 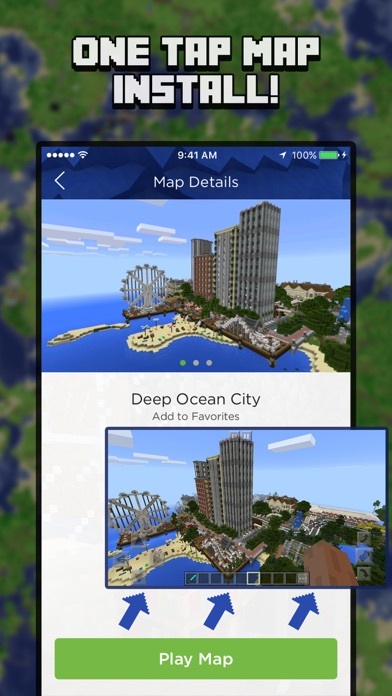 We've completely re-designed the app with new features such as the one tap install to add maps to Minecraft PE. You'll be playing new maps in no time! We hope you enjoy this update and consider leaving a rating. Do you like Maps for Minecraft PE (Map Installer) applications? Please share! I’m was so exited when I first downloaded it but now I even deleted it because none are free! Don’t get it unless your willing to pay. But the one that is free was cool but it had like a million mobs in it. I love this game, instead of building your own you get to use other peoples! Can y’all make a barn in Minecraft? Thanks! This app was so horrible I couldn’t even play the maps that cost money the free map it gave me wouldn’t even work I’ll play map and it would pop up the message to copy it to my mine craft so I’d do it it and it wouldn’t be there for me to play so I’d go back and try to play it again and it still didn’t work 😡😡😡😡😡!!! Hello! I haven’t actually used any of the maps yet but I’m about to use to the free one, I’ll have to buy a card for my iPad next week to buy fnaf map PLEASE MAKE IT FREE I WOULD KILL MYSELF FOR IT! This app is SO useless! I bought it cuz it LOOKED good, but it’s completely USELESS! The only one that is free DIDN’T EVEN LET ME COPY IT! Make all maps free Slytherin rule.